Students, even as early as Kindergarten, are programmed to look at teachers as if they are a different species. We only see them in their offices or classrooms and that taints our image of them. We know they are to be respected, but we unintentionally raise them on a pedestal and we don’t feel like we have anything in common with them. However, this couldn’t be further from the truth. In my experience, my favorite classes have had teachers that treat me like their friend. They make me laugh and they really make me feel like they care about me. They are genuine people that I can have a conversation with. Despite all of these teachers’ awards, degrees and accomplishments, they were once in college just like us. I designed this blog to help students understand their teachers one post at a time by interviewing them and asking them a medley of questions. After the interviews, I then compiled the information into a reader-friendly format. The teacher I will discuss this post is Dr. Paul Fadil. Dr. Fadil is a UNF professor in the Business department. He teaches with passion and excitement. He is an absolute joy to be around. There are not many teachers that could captivate a room of over 200 people like Dr. Fadil can. He is also a Lebanese-Jamaican American, which I think is very cool and intriguing. He even let his Administrative Management class hear 20 seconds of him speaking in his native Jamaican dialect. Paul Fadil was born in Kingston, Jamaica and was raised there for the first 12-13 years of his life. Then, his family moved to Pembroke Pines, Florida. He stayed there until the age of 18 when he left to pursue a college education. His least favorite job he worked was when he was a clerk at Costco. Dr. Fadil stated he doesn’t like jobs that don’t interest him and I believe that is something many of us can relate to. A job where he was a dishwasher at a restaurant was also in the running for the least favorite job award. Dr. Fadil’s teaching career began when he worked at Costco. His friend, who also worked at Costco, was a high school teacher and his mother became ill. The friend asked Dr. Fadil if he could be a substitute teacher for the four days he needed to visit his mother. He went to the job looking at it as a favor and he actually became so enthralled by it, he started trying to teach the kids new things. After the four days ended, he and the students enjoyed it so much he actually signed up to be a substitute teacher. He was liked so much; he received calls on a regular basis. After the honeymoon period wore off, he saw that he really loved everything about the job except for the discipline. He wanted to teach in a place where discipline was not an issue and where teaching was the most important thing. That desire is what led him to teaching on the collegiate level. 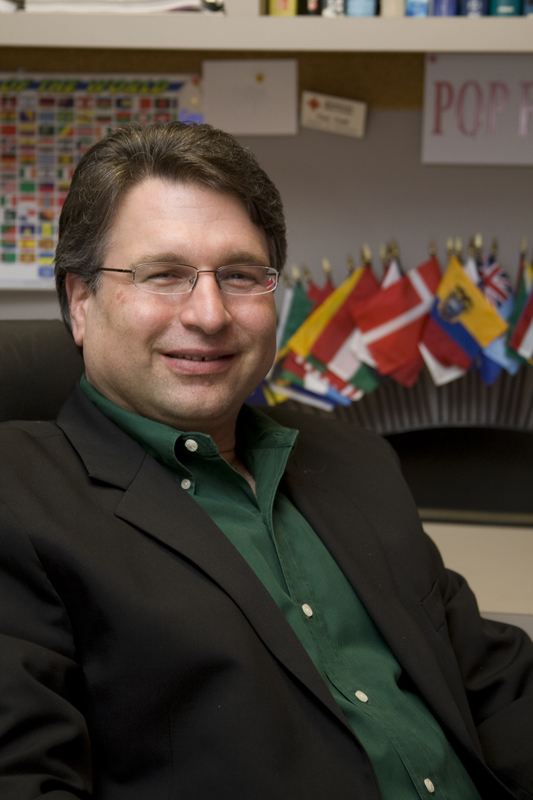 In regards to his degrees, Dr. Fadil received a Political Science degree from the University of Florida, Masters degrees in Business Administration and International Business degrees from Florida International University, and a Ph.D. in both Organizational Behavior and International Management from Florida State University. Next I asked him what was his favorite thing about being a teacher. On a more personal level, he enjoys watching most sports and tends to be a Miami fan. He named the Dolphins, Heat, and Marlins as his favored teams in their respective sports. The exception is in college football where he is a Florida Gator fan. He has played video games like Halo, Dino Crisis, and Frisbee Golf on the PS Move. His hobbies include Disc golf, gardening and fantasy football. His three favorite foods are pizza, his mother’s homemade hummus and grape leaf, which he described as cured grape leaves pulled off of the vine and stuffed with meat. His favorite beer is Miller Chill and his favorite color is light blue. When he watches movies, he prefers action-comedies and 1980’s rock is his favorite genre of music. His favorite animal is the dog and his favorite shows are reality shows like “Survivor” and “The Amazing Race.” He also admitted he enjoys watching “The Big Bang Theory.” If he had to recommend a book, he would suggest “The Seven Habits of Highly Effective People” written by Stephen F. Covey. He says this because he likes people who are always trying to improve themselves. A fact not many people know about him is he never goes on vacations. Everywhere he goes involves work and even his honeymoon in San Francisco was done during a business travel there. Finally I asked him to give advice to both business students and to everyone in general. His advice for everyone was also very well thought and true. I must condense it, but what he basically said was you should stop on every New Year’s Day and take a look at your life. At that point, you should decide whether the year you just lived was as exciting as the last. If there is ever a period where your answer was no for two or three years in a row, you should reevaluate your life and make changes. Every year should be as exciting or more exciting than the last.